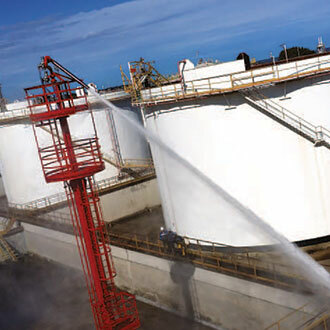 Oil & Gas product storage tank farms due to the products stored, contains dangerous risks for property and human beings. 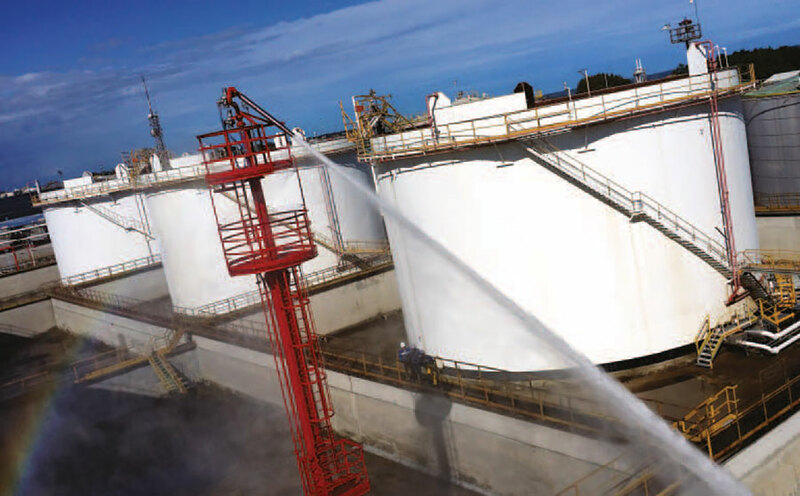 According to strict local and international regulations, fire protection systems are essential and the most important part of storage terminals. C.S.I. S.r.l. realized a fire protection system to protect dyke areas of N°11 above ground floating roof storage tanks containing fuel. 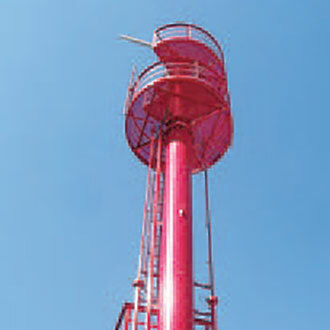 In total off N°5 TPM/G model rotating platform type monitor towers with 16 m height are distributed evenly on the storage terminal, to create a combination of N°2 monitors in one time to cover the interested dyke. 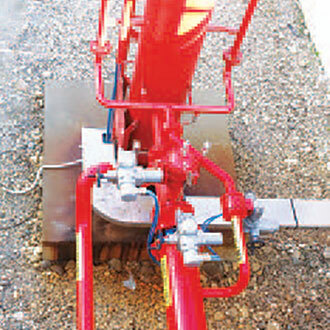 Firefighting monitors were the combination of MME-100 model electric operated monitor body with AUMA° actuators for vertical and horizontal movements, and a specially developed DLS-40-S model air aspirating foam branch pipe with 4000 l/min flow rate at 7 bar while providing a throw range up to 95 m with foam solution. 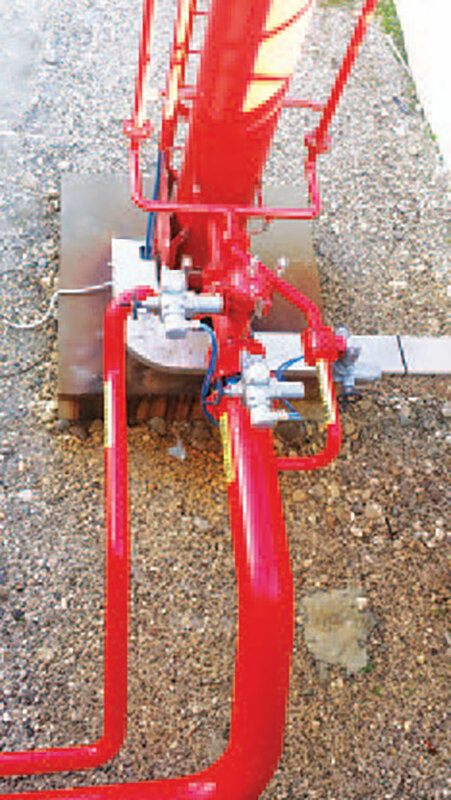 The monitor's horizontal movement actuator transmits the movement to the upper platform which is designed with an opening letting the monitor be aimed to have -60° depression angle. The most important characteristic of the system lays in the controlling logic. 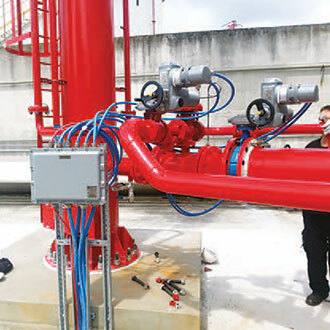 Foam solution created at the tower base uses MA-200 model automatic mixers. The system is programmed to create an absolute coverage of the dyke area with predefined scenarios to use combination of N°2 monitors at the same time thanks to S7 model SIL-2 certificated programmable logical controllers (PLC) produced by Siemens. 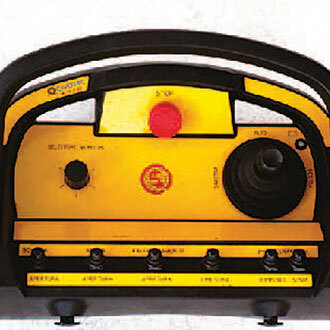 In case of fire, the operator just pushes one button to select the storage tank on fire, immediately interested N°2 monitors regardless where ever they are positioned, aim automatically and oscillate to create a foam blanket over the dyke area evenly. 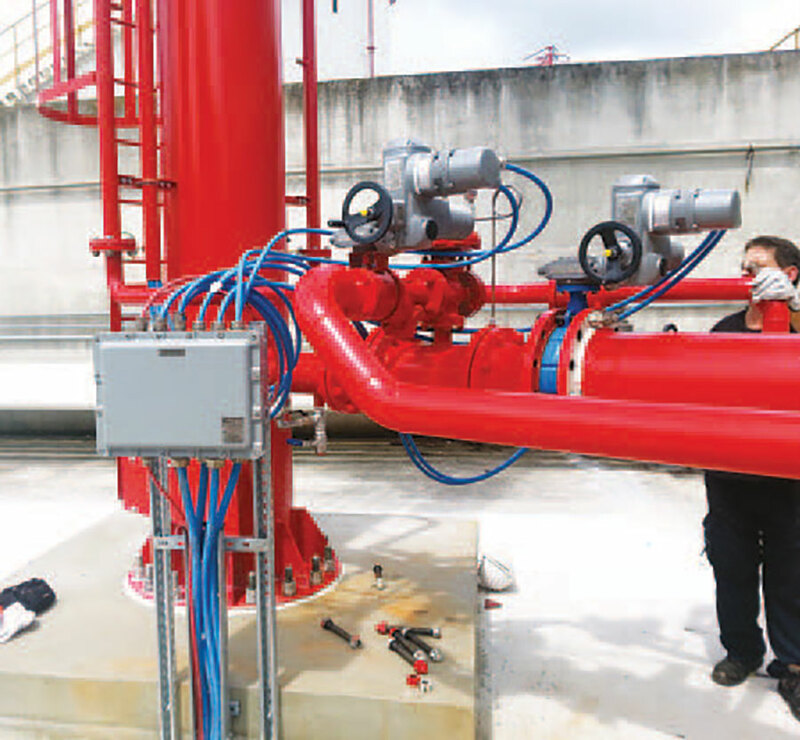 The system automatically controls the combination of valves for water, foam concentrate and tower cooling system according to the fire scenario selected. 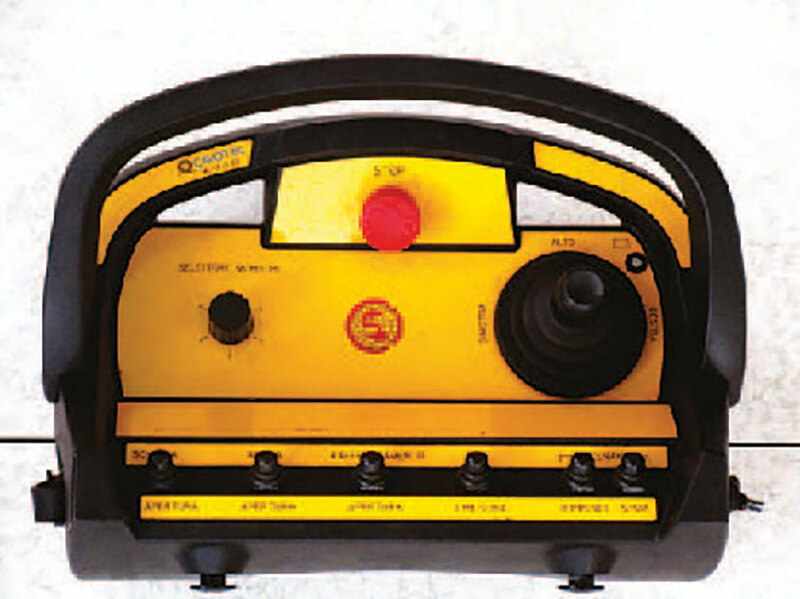 The system has an ATEX and SIL-2 certified wireless controller enabling the user to stop an existing scenario and take control to move the monitors. It is also possible to exclude one monitor and introduce another which is not normally programmed to be used in the selected scenario. 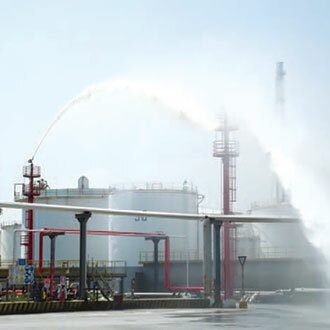 The system gives flexibility to cover any hazards in the range of the monitor, to extinguish fire in dyke areas and also it may be used to fight against fire at the top of the storage tanks or process areas at the vicinity. Each monitor provides a 360° horizontal movement with dead center. 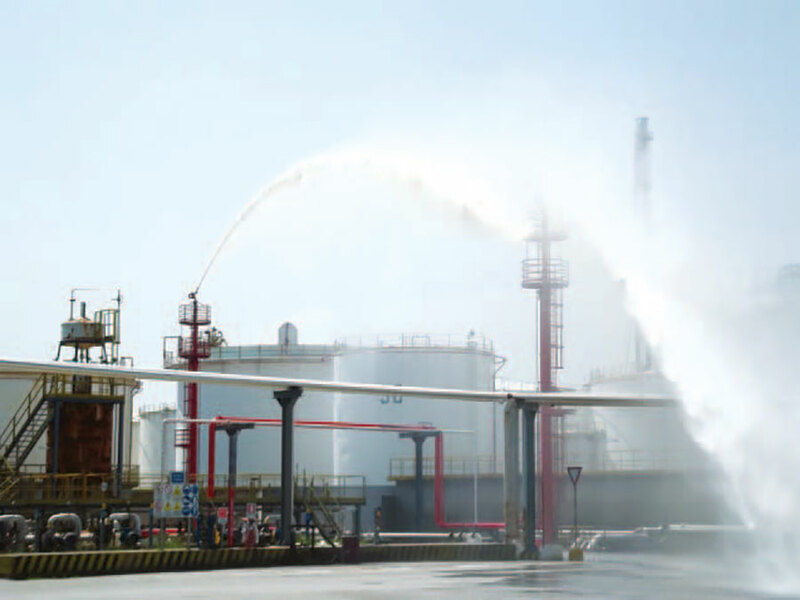 The controlling system is connected to plant automation system via Profibus® connection protocol combining process applications with firefighting application at unique terminal control interface ata distance.